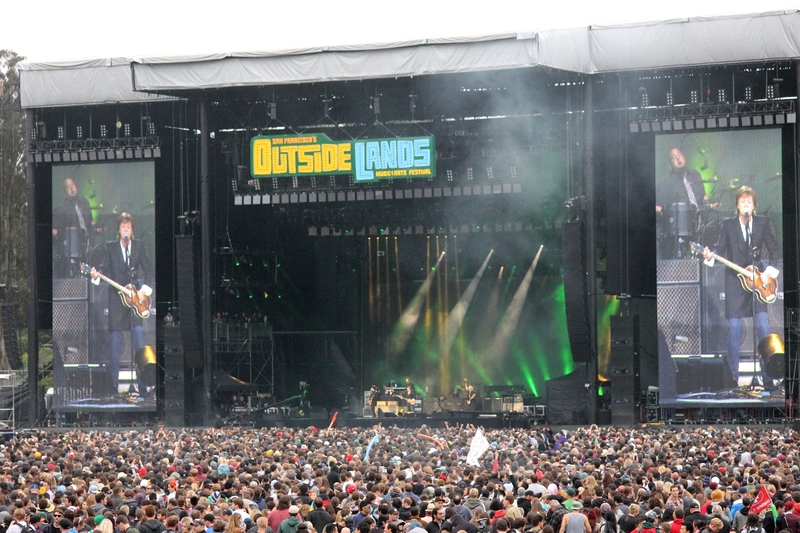 Saturday’s report indicated that 35 people were detained for selling fake tickets to Outside Lands. Police spokesman Officer Gordon Shyy has since clarified that the people were detained for scalping, but not necessarily for selling fake tickets. The updated story below contains the correct information. No major crime incidents were reported during the three-day Outside Lands Music & Arts Festival in San Francisco’s Golden Gate Park this weekend, a police spokesman said today. Officers cited about 140 people for trespassing—hopping a fence or otherwise trying to sneak into the venue without a ticket—and cited 12 others for public intoxication, San Francisco police spokesman Officer Gordon Shyy said. A sobering center had been set up at the festival to treat people who imbibed too much and the dozen citations were issued only to those who were uncooperative with the people working at the center, Shyy said. Police had said on Saturday that 35 people were detained for scalping tickets. Shyy said today that 10 people were eventually cited for peddling tickets without a permit. One person was arrested on suspicion of robbery while another had a felony narcotics arrest, Shyy said. Considering the tens of thousands of people that attended the festival from Friday to Sunday, Shyy said the number of incidents was relatively minor. “It was definitely a well-behaved crowd,” he said. More than 100 artists performed on seven stages throughout Golden Gate Park during this year’s festival, which included headliners Kanye West, Tom Petty and the Heartbreakers, The Killers and Tiesto.